This is the first of a series assessing the Vikings’ top five needs and how they could address them in free agency. We're starting with the linebackers. NFL free agency begins next week, starting with the negotiating window on Monday and the opening bell for the 2018 league year at 3 p.m. Wednesday. We’ll get you ready with the first of a series assessing the Vikings’ top five needs and how they could address them in free agency. The Vikings have invested mildly in linebackers since opening with two top picks to begin the Mike Zimmer era. 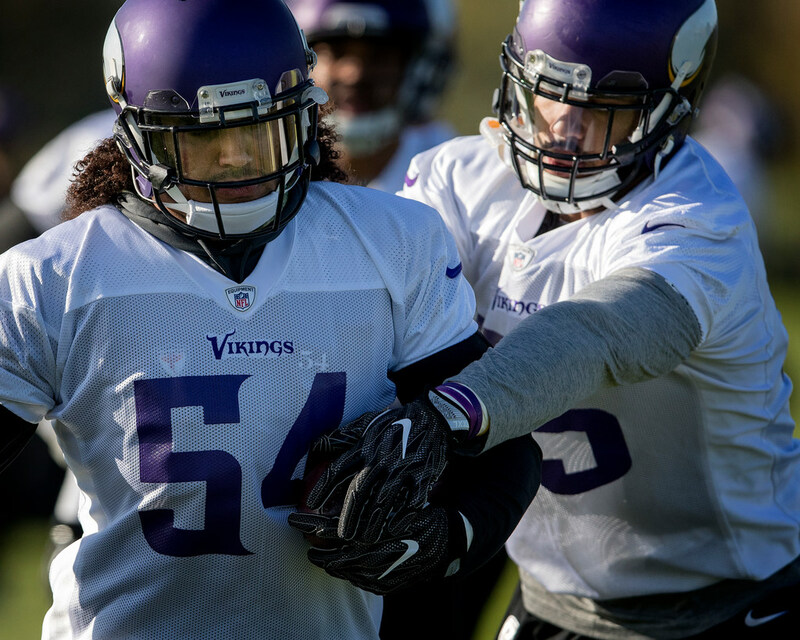 In the three seasons pairing Anthony Barr (2014 first round) and Eric Kendricks (2015 second round), the duo has played 5,381 defensive snaps, which is nearly nine of every 10 plays together. The Vikings’ base defense is really nickel centered around the two linebackers in Kendricks, the three-time leading tackler, and Barr, a three-time Pro Bowler. So the level of need isn’t catastrophic. The Vikings’ priority with the current group this summer is probable extensions for both Barr and Kendricks as they enter contract seasons in 2018. But could they add to the competition at Ben Gedeon’s weak-side role in the 4-3 base defense? Even as the rookie played 244 snaps last season, a mid-priced veteran addition makes sense to at least bolster depth. Linebacker Emmanuel Lamur is set to become a free agent next week after playing 117 defensive snaps in two seasons. Current roster: OLB Anthony Barr ($12.306M cap), LB Eric Kendricks ($1.64M), OLB Ben Gedeon ($713K), LB Kentrell Brothers ($688K), OLB Eric Wilson ($558K), OLB Shaan Washington ($481K). Current money invested: $16.942 million, 20th-most in the league according to OverTheCap.com. OLB Nigel Bradham (Eagles) — Bradham led the Super Bowl-champion Eagles in tackles for a second consecutive season last fall while compiling 88 combined tackles, six for a loss, eight pass deflections, one forced fumble, a recovery and a touchdown. He’s a three-down player available entering his age 29 season. ILB Navorro Bowman (Raiders) — The four-time All-Pro selection was released by the 49ers in October reportedly upon his request. He signed with the Raiders a few days later and still tied for the team lead in tackles (89). Bowman, who turns 30 in May, still has it as a 4-3 middle linebacker. OLB Tahir Whitehead (Lions) — Whitehead is also coming off back-to-back seasons as his team’s leading tackler, fronting the Lions with 110 combined tackles and four fumble recoveries last season. Whitehead, who turns 28 next month, is labeled as a better run defender than in coverage. It’s noteworthy he compiled his season-high 13 tackles against the Vikings on Thanksgiving. LB Anthony Hitchens (Cowboys) — The middle/nickel linebacker from the Cowboys is an enticing option. The 25-year-old Hitchens is coming off his rookie contract after a season in which he ranked as Pro Football Focus’ second-best interior run defender with 17 stops on 117 run snaps at middle linebacker. ILB Paul Posluszny (Jaguars) — Posluszny, 33, is getting a little long in the tooth, but he’s still played 48 games in the past three seasons for a young Jaguars defense. He was moved back to middle linebacker last season and showed he could still help a defense from there. OLB Barkevious Mingo (Colts) — Mingo (6-4, 239 pounds) is the type of special talent that has teased talent evaluators without yet reaching his potential. The former sixth-overall pick played strong-side linebacker for the Colts last season and could be worth a lower-level flier. Also keep an eye on: OLB Najee Goode (Eagles), ILB Avery Williamson (Titans) and OLB Arthur Moats (Steelers).